Quinta Real Puebla is a luxury 5* resort located in Puebla, Mexico. It features 84 rooms. Experience the fascinating colonial city of Puebla during a stay at the Quinta Real Puebla. 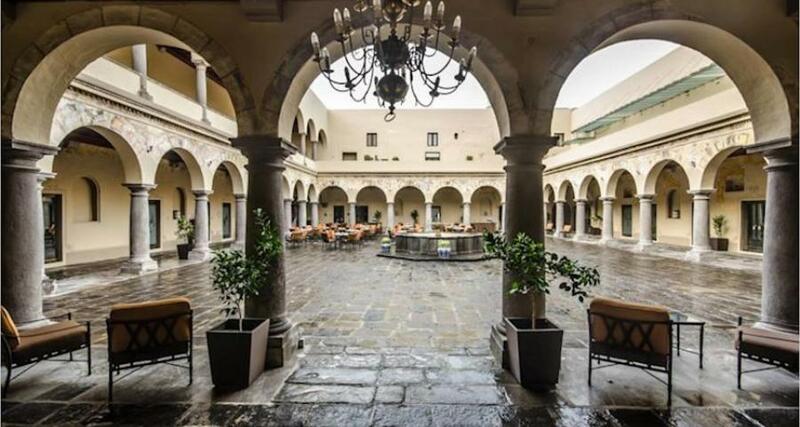 This hotel is set in the heart of the city's historic center in a converted 16th century convent. Here, you can enjoy beautiful colonial design, enchanting courtyard areas, historic details and charming archways throughout the property. The Quinta Real Puebla combines a historic location with beautiful architecture and modern comforts. Throughout your stay in Puebla, you can enjoy a business center, restaurants, a gift shop and much more.